James is a CERTIFIED FINANCIAL PLANNER ™ practitioner at Atlas Wealth Advisors in Dallas, Texas. He received his B.B.A in Finance from the University of North Texas before starting his advisory practice in 2008. Since then James has continued to further his education in his field. In addition to the CFP® he also holds his CRPC® (Charted Retirement Planning Counselor), and AIF® (Accredited Investment Fiduciary) designations. 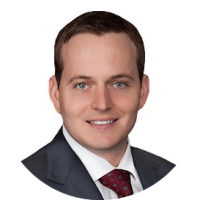 He uses his experience and expertise to develop tailored financial strategies for small business owners, physicians, and affluent families in the Dallas/Fort Worth area. James is an enthusiastic sports fan with the Dallas Cowboys, Texas Rangers, and Dallas Mavericks being his favorite teams. He spends much of his time outdoors whether that be golfing, hunting, fishing, or hiking. James is an active member in his community of Highland Village where he lives with his wife Brittney, daughter Nora, and dog Charles.